Still from Collective fireplace (Kollektivt bål), video made in collaboration with residents in Solund for Solund Light Festival. Photograph by Stig Steinsund. 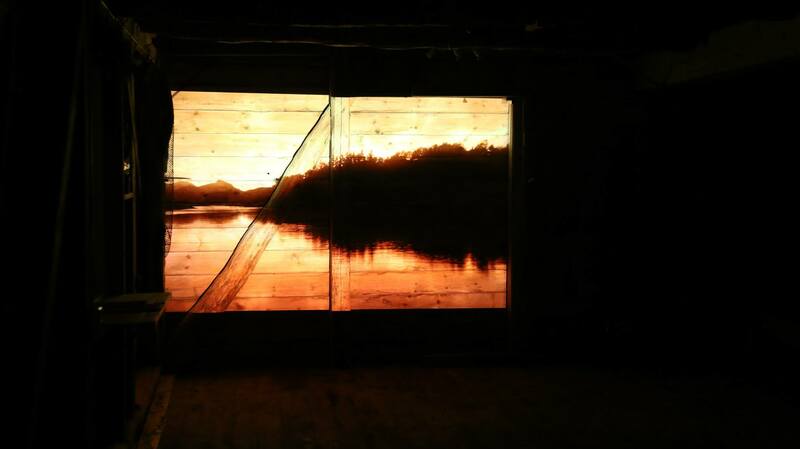 SOLUND LIGHT ART FESTIVAL 2014 focused on light as a medium for art and experiences. 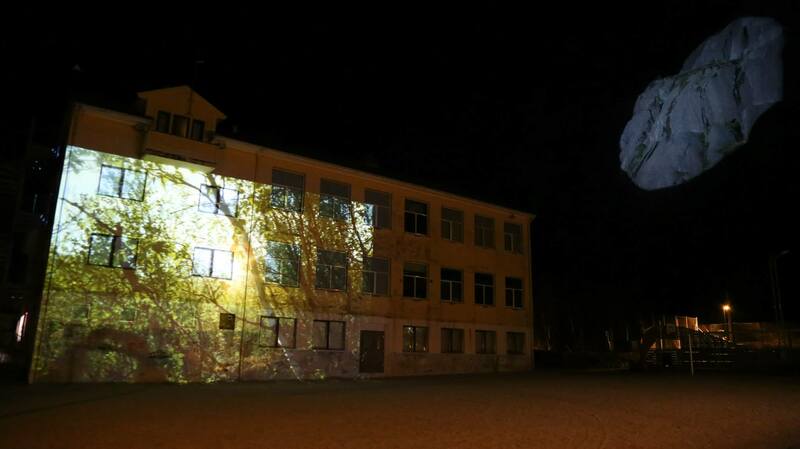 The goal of the project was to create a local, national and international commitment for light and visual expression. Solund municipality is located where the Sognefjord meets the North sea, and much of the activities took place in and around Hardbakke center, in the November darkness. I was invited together with artists Viel Bjerkeset Andersen and HC Gilje to develop site-specific art projects and/or to show an existing work, Skyvelære #1, in a new context. It was projected on the local preschool. Solund as place, light phenomena and light as a thematic point of contact provided a platform for technological, artistic and social development during the festival and the artists’ artwork became the focal point for this. I created a new work, Collective fireplace in collaboration with people living in Solund. 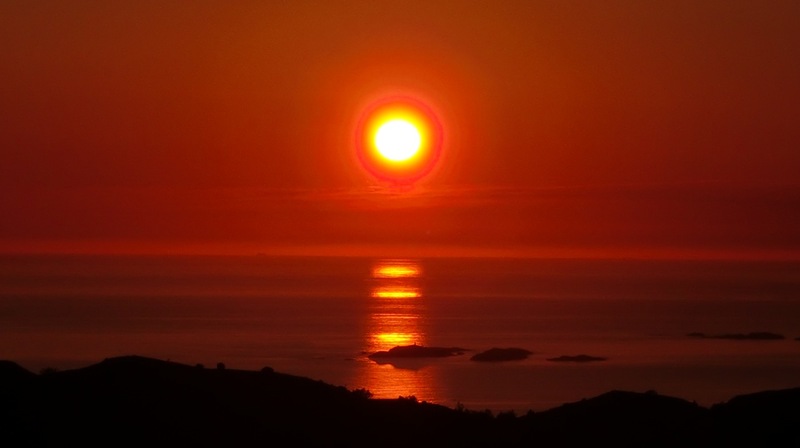 Following a callout to the locals to submit their favourite images of sunsets, I received more than 600 images of sunsets taken throughout this scarcely inhabitated archipelago. The images were combined in various ways into a 33 minutes long film . 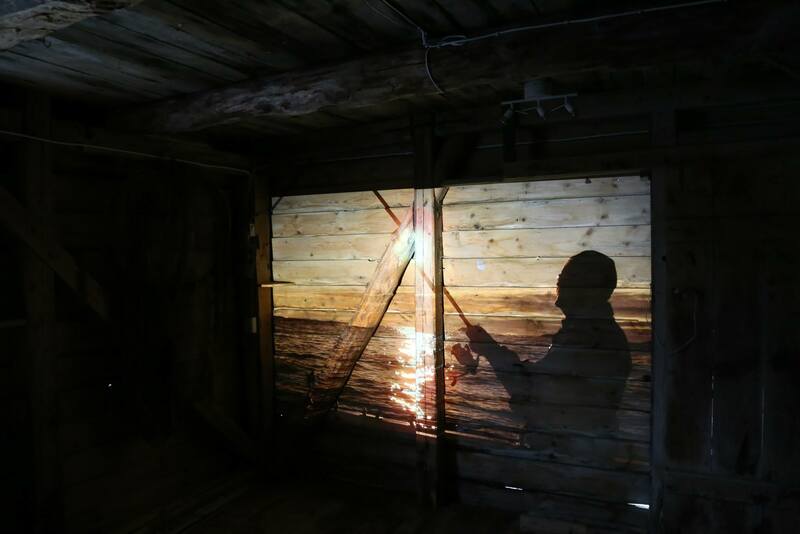 Collective fireplace was presented as a projection inside Taklebua, an old meetingplace for fishermen in Hardbakke.